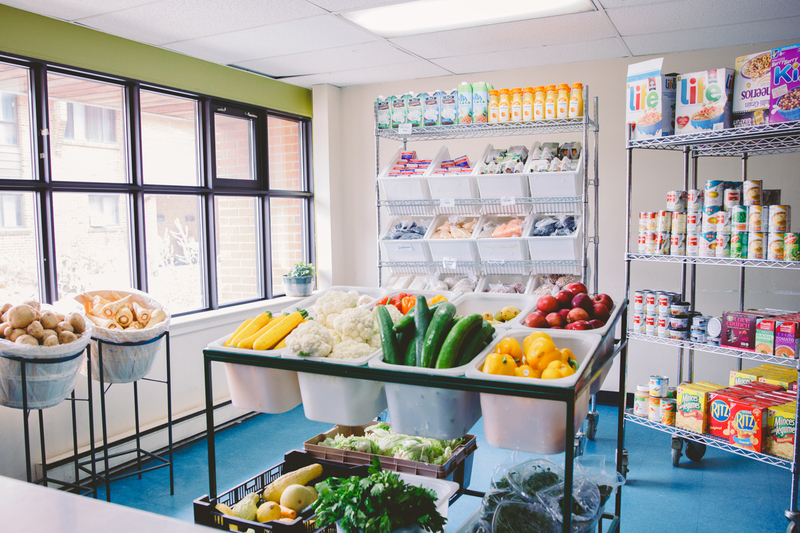 We help people meet their immediate needs with dignified and respectful community programs and services—all centered around fresh, nutritious, and nourishing food. Our Food Bank provides a three-day supply of food, once per month, to individuals and families who live in our catchment area (north of Bloor, south of St. Clair West, west of Dovercourt, east of Runnymede). Identification with name and address is required to register. Through creative partnerships and the support of our donors, our Food Bank hampers feature fresh produce, milk, eggs, and whole grains. Hampers highlight a seasonal vegetable—our Food of the Month—and give examples on cooking it with food demos and recipes. 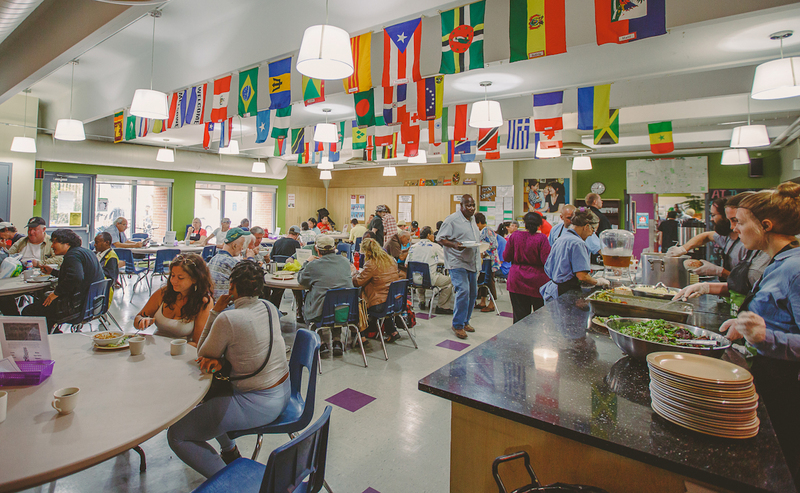 The Stop’s Drop-in is a safe and welcoming place where anyone, regardless of where they live, can enjoy nutritious food, meet others, and access information on social issues and community resources. The Drop-in also offers services in partnership with other agencies, including a weekly ID clinic, housing and legal services, settlement services, and dietetic counseling. We also offer workshops on tenants’ and employment rights, movie screenings and arts & crafts, and demonstrations on how to make low-cost, healthy, and delicious meals. 1884 Davenport Road: Mondays, Tuesdays, Thursdays, Fridays; 9AM to 3PM. Breakfast served from 9AM to 10AM; lunch served from 12PM to 1PM. Contact Winsome at 416-652-7867 ext. 227 or [email protected]. Community cooking brings people together to learn, cook, and share nutritious, culturally-diverse, and inexpensive meals. 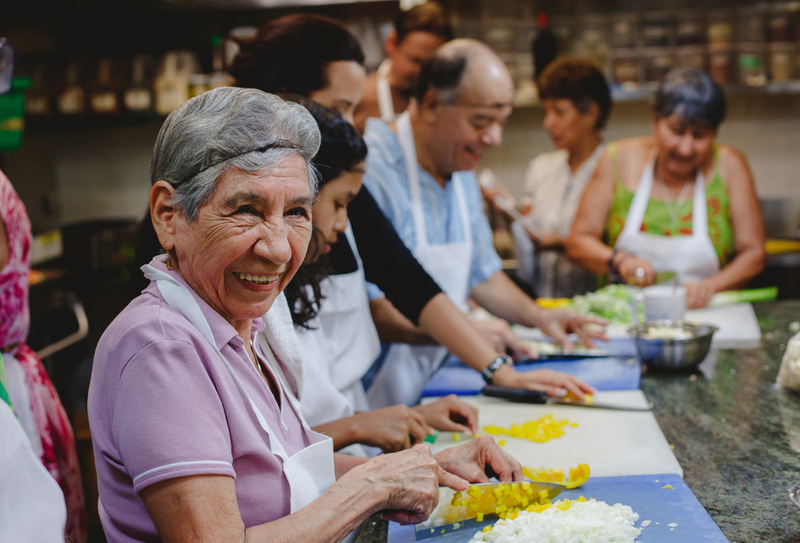 We offer a range of cooking groups, all designed to build food skills, reduce social isolation, and increase access to healthy food, while connecting people to other resources. Registration is NOT required for our Community Kitchens. Just drop in! Contact Hussein at 416-652-7867 ext. 238 or [email protected]. 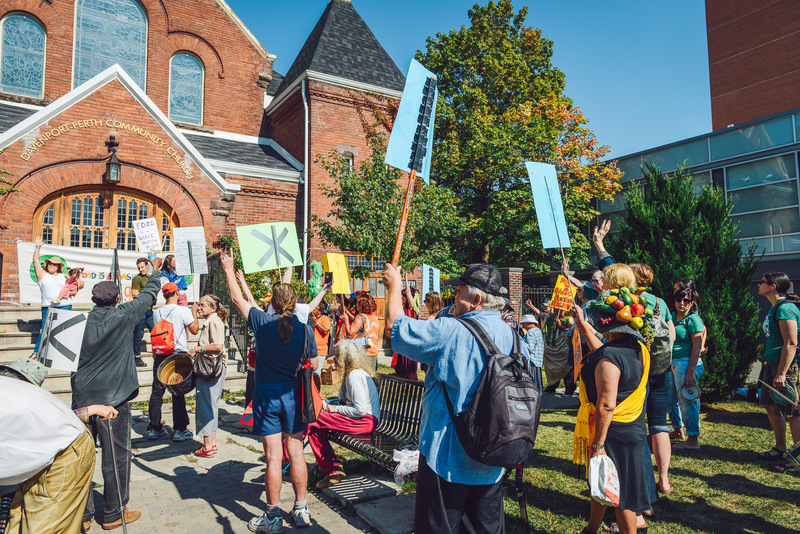 The Community Action Program empowers people experiencing poverty and marginalization to challenge chronic income and food insecurity by building stronger community support networks, raising political consciousness, and taking direct action. The Community Advocacy Office is a peer-run project where trained advocates provide information, referrals, and general assistance to fellow community members. All services are strictly confidential. Hours: 1884 Davenport: Mondays, Tuesdays, Thursdays, Fridays, from 11AM to 3PM. Wychwood Open Door (729 St. Clair Ave. W.); Wednesdays from 9AM to 2PM. Community Action Training is a two-part course, each with six weekly sessions, focusing on both individual and systemic action. All Community Advocates are required to complete the training program. Contact Joanna at 416-652-7867 ext. 235 or [email protected]. Healthy Beginnings is a weekly pre- and post-natal nutrition and support program for pregnant women living in the catchment area (north of Bloor, south of Rowntree, west of Yonge, and east of Jane). 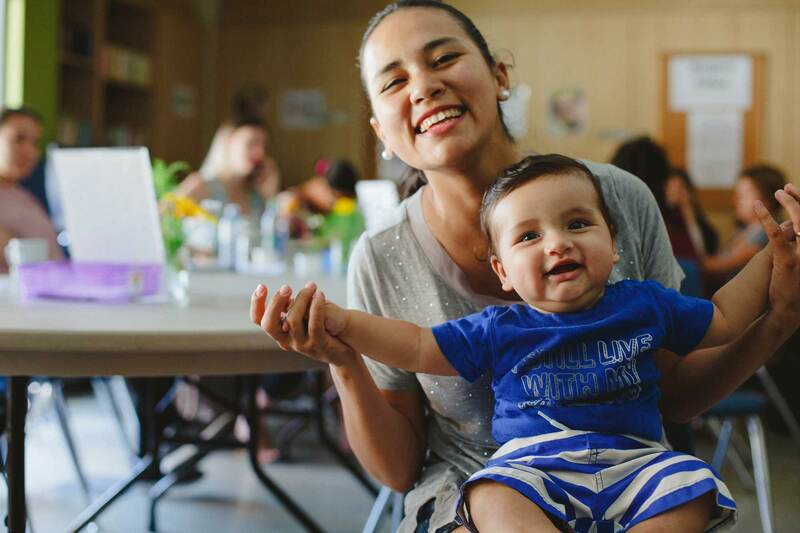 Healthy Beginnings offers information, education, and support through group workshops with opportunities to talk individually with a team of nurses, dietitians, settlement workers, counsellor/therapist, and family support workers. The program also provides a healthy lunch, food hamper, food vouchers, and free child care in a caring and welcoming environment. Our urban agriculture programs are anchored at The Stop’s Green Barn at Artscape Wychwood Barns (601 Christie Street). 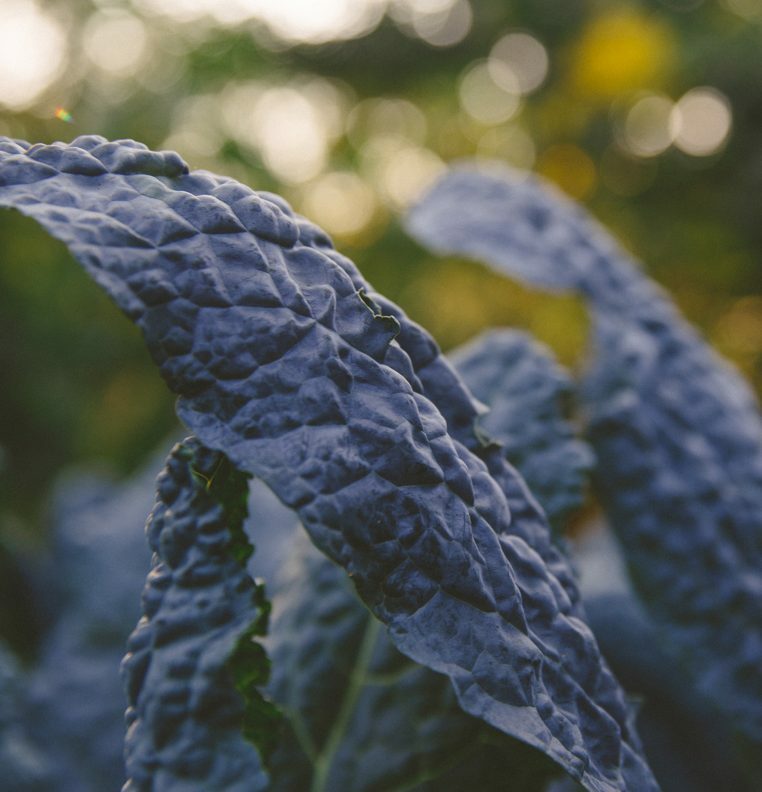 Our greenhouse and sheltered garden provide year-round growing space and an inspired environment for the community to learn and share agricultural knowledge. The Greenhouse works throughout the late winter to produce thousands of seedlings for Toronto’s Community Gardens. The rest of the year is spent producing food. Half of the harvest goes directly home with community members, and the rest is used in Stop programs. 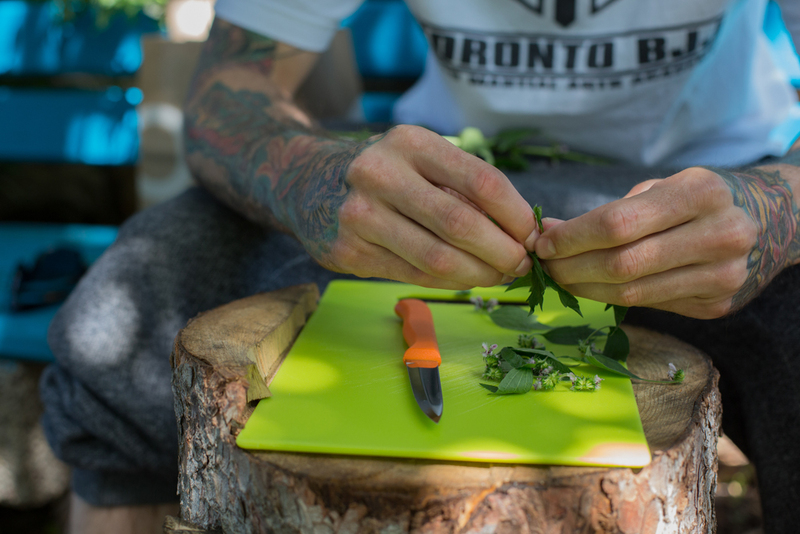 For more information on our Urban Agriculture Programs, contact Andrea “Peachtree” Boucaud, Green Barn Manager, at [email protected] or 416-651-7867 ext. 28. 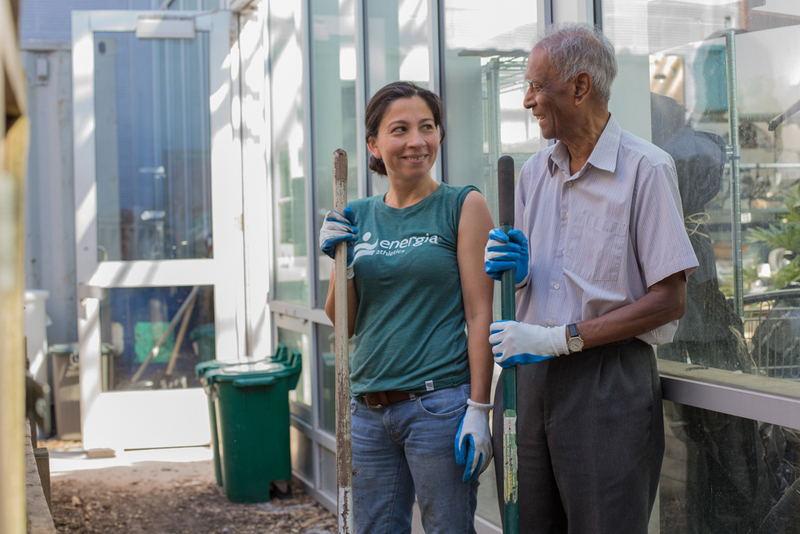 Get your hands dirty in our year-round urban gardens! Grow vegetables for The Stop’s Food Bank and meal programs, and to take home yourself. Learn about environmental issues and organic gardening through our frequent workshops. 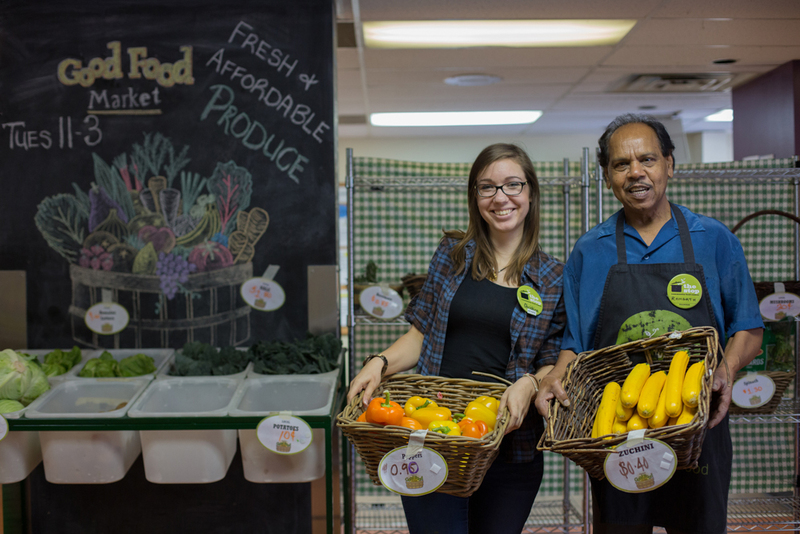 On Tuesdays, we invite everyone to visit our Good Food Market, where we offer fresh and affordable produce for sale in our Food Bank space (1884 Davenport Rd.) from 11AM to 3PM. 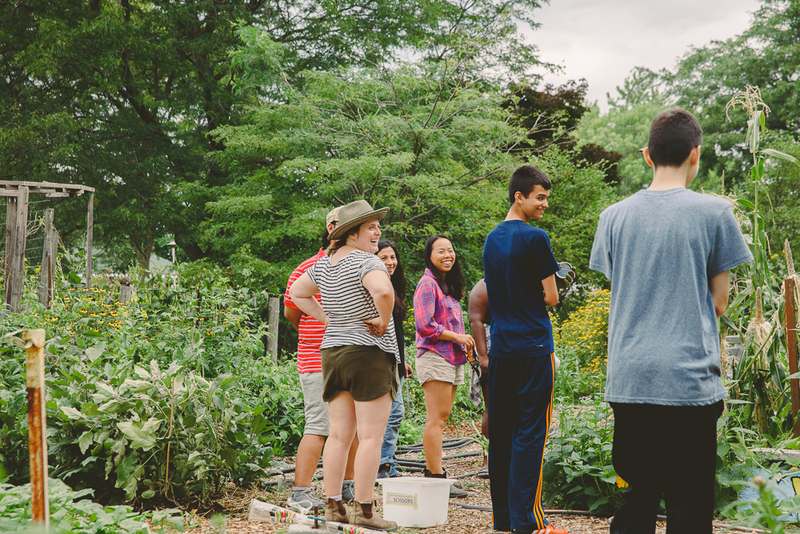 The Stop’s Youth Program provides opportunities for young people 14+ to grow, cook, and share healthy food, and to understand sustainable food systems and the root causes of hunger and poverty from a social justice perspective. The program is based out of our 601 Christie location, and it prioritizes young people that are racialized, Indigenous, newcomers, 2SLGBTQ, etc. in the Davenport West and St. Clair/Christie communities. 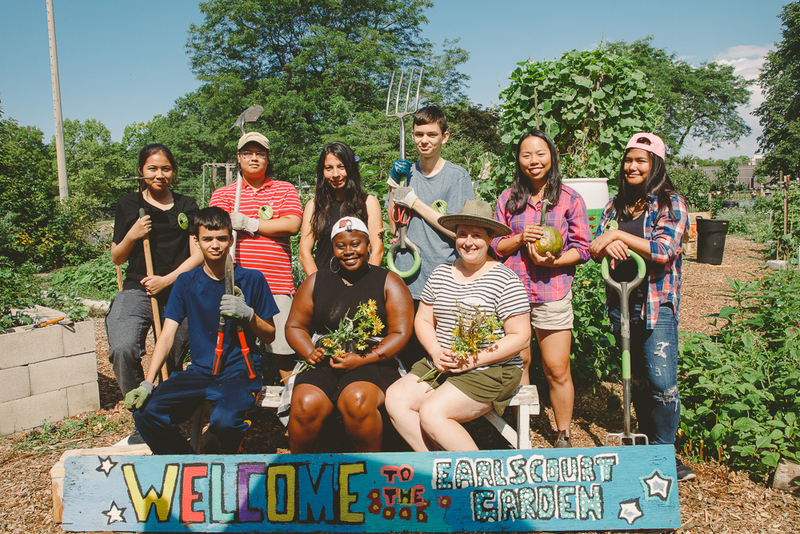 Let’s Get Cooking – Drop-in cooking and gardening program for youth. Wednesdays 4-6:30pm. Youth for Food Justice – Workshops and tours for Community Youth Groups and High Schools – Bookings starting now! Contact Xuan-Yen Cao, Youth Team Lead, at 416-651-7867 x26. We partner with the Sagatay program from Na-Me-Res (Native Men’s Residence) to animate the garden at Hillcrest Park, which includes the Mashkikiiaki’ing (Medicine Earth) Medicine Wheel Garden. This partnership provides the men of the Apaenmowineen (Having Confidence in Oneself) program the opportunity to share teachings and learn more about plant medicine, gardening, and healthy living. Contact Nah-Hak Hartmann, Mashkikii;aki’ing Coordinator, at [email protected] or 416-651-7867 ext. 29. 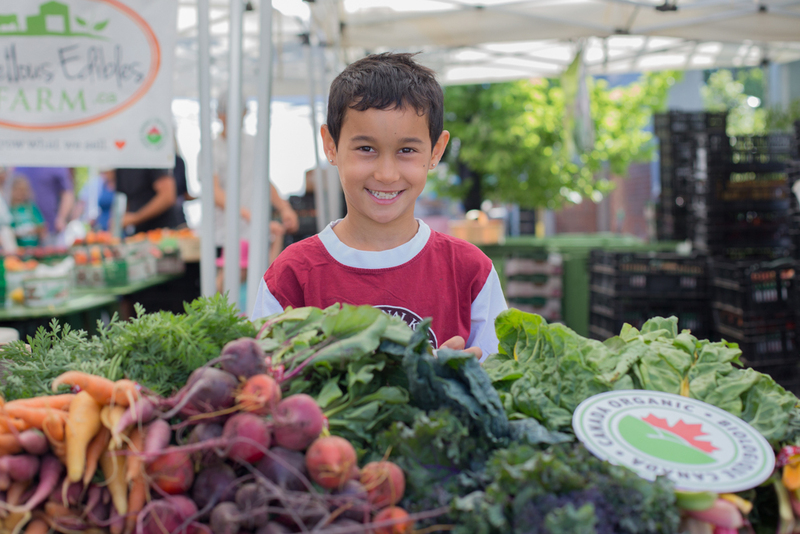 Featuring local, sustainable, and organic products and great music, The Stop’s Farmers’ Market has become a neighbourhood meeting place, attracting more than 2,000 people each week and providing an important source of income for local farmers. The Stop’s Market Café is open during the same hours as the Farmers’ Market and serves delicious breakfasts, soups, sandwiches, and desserts prepared by Stop chefs using ingredients sourced from the market. Look for it in The Stop’s Green Barn (Barn 4) every Saturday. Artscape Wychwood Barns, 601 Christie St.; 8AM to 12:30PM , year-round. Contact our Market Manager Cookie Roscoe at 416-651-7867 ext. 24 or [email protected]. Do you need help getting identification? Our ID clinic runs every 2nd and 4th Tuesday, 9am-12pm. Held at our 1884 Davenport location in the Drop-in space. Every first and third Thursday of the month as part of our Emotional Wellness Peer Support Group. Open to everyone of all ages and abilities. 10am-12pm in Community Room B.
Connect with a trained Housing Support Worker. Every 1st and 3rd Tuesday. Every 1st, 2nd, and 4th Friday of the month, starting at 1:30pm. Held at our 1884 Davenport location in the Blue Room. Win fabulous prizes every Monday, 1:30-2:30pm. [At The Stop] I feel a sense of community that I didn't know existed within Toronto. I feel supported as an immigrant, as a woman, and as a mother.